Model B of the popular plug-and-play Apple disk emulator, featuring built-in compatibility with all classic Apple II, Macintosh, and Lisa computers. 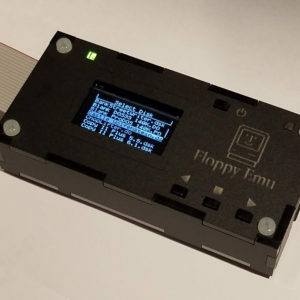 Floppy Emu is a floppy and hard disk emulator for classic Apple II, Macintosh, and Lisa computers. 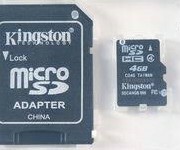 It uses a removable SD memory card for storing disk images, and mimics an Apple floppy disk and drive, or an Apple hard drive. 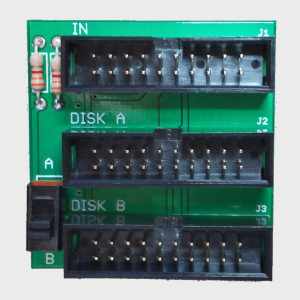 These are restocked/refurbished Model B boards, from customer or post office returns. 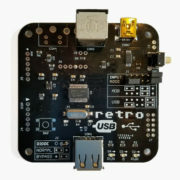 Each board is tested and certified, and provided with the same warranty as the newer Model C.
Built-in Apple II Compatibility – Model B is directly compatible with the entire Apple II line, emulating 5 1/4 inch disks, 3 1/2 inch disks, or Smartport hard disks all without the need for a separate adapter. Of course classic Macintosh and Lisa disk emulation is still supported too. 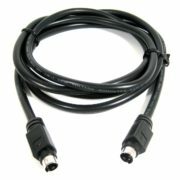 The equivalent functionality of the original Universal Adapter is built-in to the Model B. 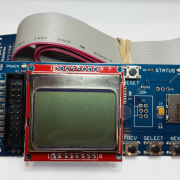 Same Great Emulation Features – All of the time-tested Macintosh, Apple II, and Lisa disk emulation features from the original Floppy Emu are still present. Model B reads and writes emulated 140K, 400K, 800K, or 1.4MB floppy disk images, or hard disk images up to 2GB, if supported by your Apple computer. 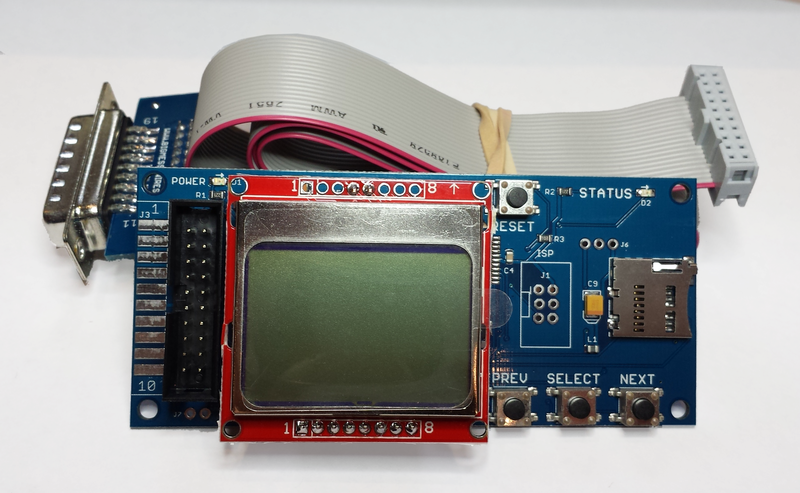 Your Floppy Emu comes fully assembled and tested, and ready to use. 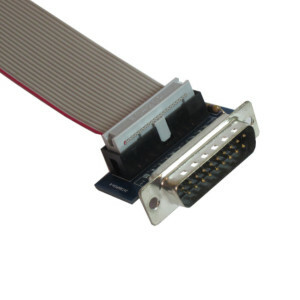 It includes a 3 foot 20-pin ribbon cable for connecting to your computer, and a DB-19 adapter that mates with the 19-pin external disk port found on most vintage Apple machines. 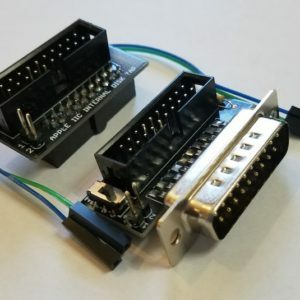 If necessary, this adapter can be removed and the cable can be connected to an internal disk header on the computer’s logic board or disk controller. 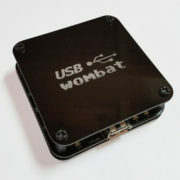 Need a case for your Emu, or an SD memory card, A/B disk switch, or other accessories? See the list of related products below. 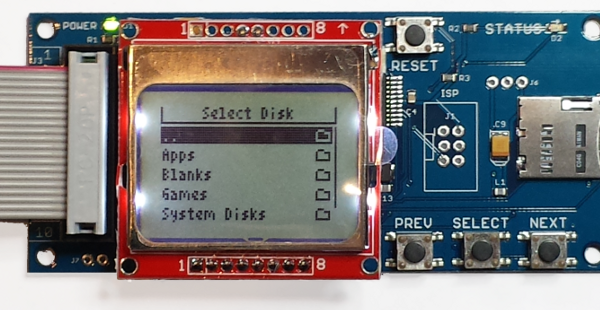 Please visit the Floppy Emu project page for complete details, compatibility information, the user manual, and firmware downloads.